Walmart has dramatically simplified their requirements for brands to get them more product content. 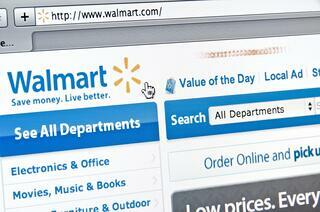 Ultimately, this makes it easier to sell more products through Walmart. We’ve heard from our customers that the number of attributes required by Walmart was a barrier to publishing new or refreshed content. After communicating that feedback to Walmart, we’re excited to hear they’ve chosen to offer an alternative to the attribute-rich Content Spec 2.0. With Content Spec 3.0 (now available in Salsify), Walmart has reduced their number of required attributes from 27 attributes to 5. 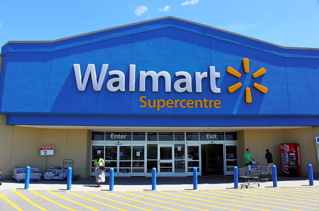 As you know, Walmart also asks their suppliers to provide a number of category-specific attributes, and that number has dropped from 119 attributes to only 23. The power of simplicity - we all know that having robust content is important and Walmart wants that too, but having SOMETHING is better than having NOTHING - and this gets you started faster than ever before. This is good news for everyone. As a brand, it’s never been easier to speed your time to market and grow your assortment on Walmart. Or, if you’ve never sold on Walmart.com, now couldn’t be a better opportunity to do so. No matter where you’re at in your relationship with Walmart, here’s what you need to know to make the most of this change. Already have products on Walmart? If you’ve already published content using Content Spec 2.0, you don’t need to re-submit content through 3.0. However, we recommend you use Content Spec 3.0 to publish new products because you can get products stood up for as little as 6 attributes - and you can expand those attributes as much as you’d like. If you’re not a Salsify customer, you can access the requirements directly through Walmart’s vendor central: http://corporate.walmart.com/suppliers. If you’ve considered selling on Walmart before, but haven’t yet done it, it’s now easier than ever before. So, you should consider taking advantage of it for 2017. If you’re a Salsify customer, reach out to your Customer Champion. We’ll turn on the Walmart Content Spec 3.0 channel, and you can start publishing right away.